Amizade is honored to announce a newly established partnership with Armada Global, a risk management firm based in Pittsburgh. Armada Global focuses on developing security solutions for education institutions, corporations, nonprofit organizations, and private citizens. Armada Global is managed by former operational personnel from the Central Intelligence Agency (CIA). This unique education-security partnership is groundbreaking in the sector, and designed to ensure the health, safety, and security of Amizade participants in the US and abroad. This relationship grew out of the power of co-working, as both Amizade and Armada Global are members of The Global Switchboard coalition. 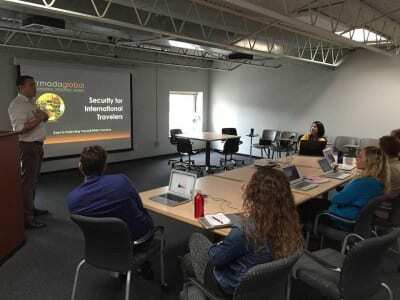 In 2014, Armada provided Amizade with an informative training on security for international travelers. Then, throughout the fall, Armada began researching and releasing specified health, safety, and security country reports for Amizade. These reports are hyper-local, showing the safest travel routes to Amizade community partner sites, giving advice on security precautions, and comparing village-level crime statistics to US cities. In addition to Armada’s country reports, they are now offering their cutting edge technology in travel protection to volunteer groups and individuals. Global tracking communication devices for areas with no cell phone service and other devices are now available as an extra security component. Amizade recently piloted this great add-on service with a group of students in Trinidad & Tobago. 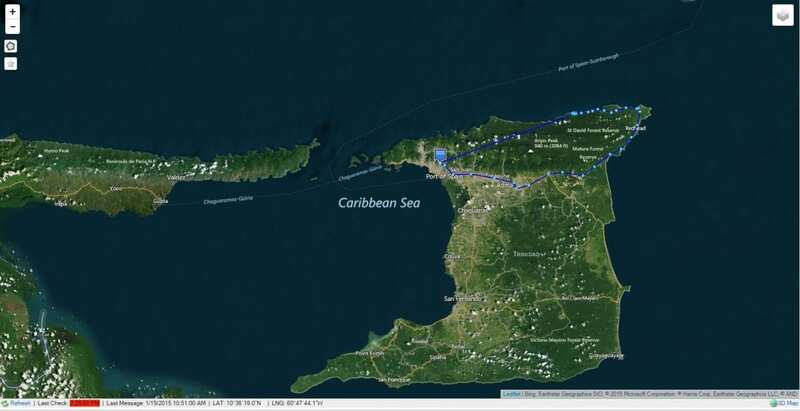 During their stay in Matelot, the group was tracked on their daily routine along the island, an area known for its lack of cell phone service. The utilization of this device means that global emergency alerts can be quickly communicated with the press of a button on the tracking device. The device can also post updates directly social media which allows parents and others to receive live non-emergency updates about the group’s arrival and whereabouts when cell phones are not an option. This groundbreaking partnership represents the boldest step Amizade has taken in its 20 year history to ensure the health, safety, and security of its participants and stakeholders. Keep following our blog and social media for more upcoming details.